As I have heard Brian B. (BB on the whiteboard), “we won the lottery just by being born in this country”. He’s totally right. We get to live in a free country where most of us have all kinds of choices. When you think about it, it’s almost overwhelming how good most of us have it. Here it is, Thanksgiving, a time when we get to prepare huge feasts surrounded by family and friends. We get to work out for fun and plan and participate in recreational activities like the Turkey Day Adventure 5K and Family WOD, happening today at WildFire CrossFit. We get to have a business where we can help people get in shape, be healthy, and be the best they can be. We are so Thankful for the opportunities we have and everything we get to do every day. There are people all over the world who are not so lucky. People who struggle and suffer every day from conflict, poverty, natural disasters, and things most of us can’t even imagine. Even in this country, there are those who are not so fortunate. And while it’s easy to say we all have the same opportunities, it’s just not the case. According to St. Mary’s food bank website, “in Arizona, nearly 30% of our neighbors are considered working poor, living on wages that barely cover housing and other basic necessities and 1 in 4 kids grow up in poverty”. They go on to explain that “Children that lack access to healthy food are more likely to struggle with educational setbacks and further health-related hardships down the line, such as Type 2 diabetes, high blood pressure, heart disease, and obesity”. I know, Captain Bring Down, right? Not so fast, there is good news…We GET TO do something about it, and with your help, we can make a difference. 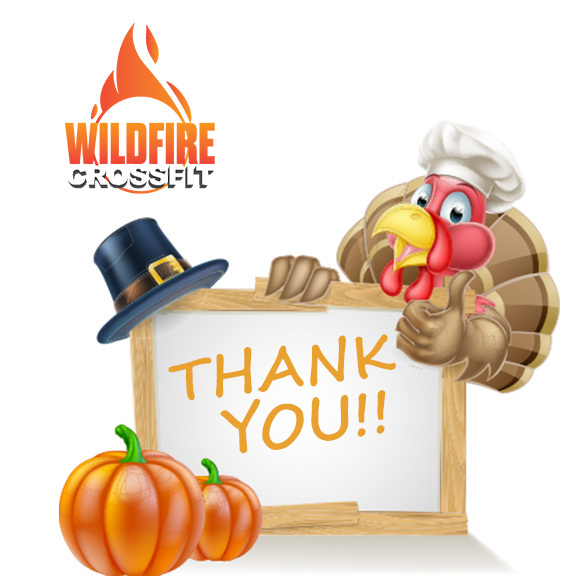 Many of you are participating in the Turkey Day Adventure and Food Drive at WildFire CrossFit. Thank you in advance for participating, and for brining your food donations so we can help make a difference. We will be collecting food until Monday, November 26th, so even if you weren’t able to be here, please bring in your food donations OR donate by clicking HERE and going to St. Mary’s Food Bank website. It’s days like today that I am SO Thankful for all the incredible opportunities we have and how fortunate we are to be able to help people who really need it. This is one of the many reasons that we go BEYOND JUST FITNESS. So, THANK YOU for being a part of the WildFire Community and THANK YOU for helping us make a difference in people’s lives. 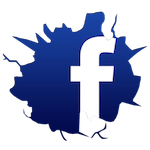 Continue making a difference in your own life and please, share your fitness experience with the people you love so they too can go Beyond Just Fitness.